All right, I admit that this top 10 has turned into a highly biased top 25 ☺, yet solidly based on the amount of archaeological sites, sublime landscapes, picturesque ports and a minimum of tourists. Moreover, this top 10 or top 25 is from the sailor's perspective of the many bareboat yacht charter holidays enjoyed by the visitors of this website. Note that this listing concerns islands, so for instance the magnificent coasts of the Peloponnese (only technically an island) and the stunning central promontory (Sithonia) of Chalkidiki are left out. 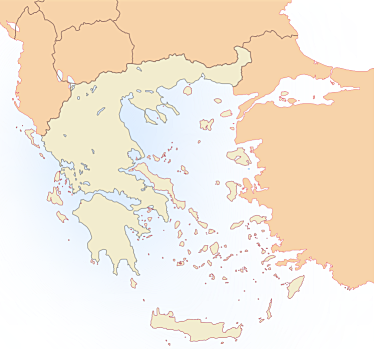 Some statistics: there are over 1,400 Greek islands that are significantly larger than a rock. Only 169 are inhabited, a number that is rapidly declining (in 1998 there were 274 inhabited islands in Greece). Nowadays only 74 islands have more than 100 inhabitants. Conclusion: About 80% of the top 25 Greek islands huddle together in the south Aegean and the east Aegean, quite some distance away from Athens. See all Aegean islands and their Greek, Ancient Greek, Turkish, Latin and Italian names.